Next door of the A1 exit of Higashi Shinjuku station (The Toei Oedo line and The Metro Fukutoshin line) which are connecting visitors to the rest of the city. We are located in the central Tokyo. Accessible by public transportation to Shibuya, Roppongi, Ikebukuro, Asakusa, Ginza and even Yokohama. 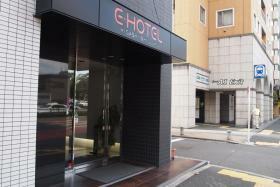 ・20 min from JR Shinjuku station East exit on foot. ・5 min from JR Shinjuku station East exit by Taxi. ・5 min from Shinjuku Nishiguchi Station by Oedo line. Higashi Shinjuku station is one stop away. There is NO transfer service from the Hotel. Please see the information as below. 2 stations are available for catching the Shinkansen, bullet train. Tokyo Station: 26 min away by Tokyo Metro Fukutoshin Line and Tokyo Metro Marunouchi Line. Shinagawa Station: 33 min away by Tokyo Metro Fukutoshin Line and JR Yamanote Line.